Clinic Synopsis: Stop, Collaborate, and Listen will demonstrate the benefits of pairing a young jazz ensemble with professional musicians and how it can enrich your school’s jazz curriculum. Along with discussing the educational rewards, this clinic will outline the planning process that is necessary to guarantee a successful collaborative relationship. Clinician Biographical Information Katrina Fitzpatrick is the fine arts department head and band director at Morton Junior High School. She received her bachelor of music education degree from Bradley University and masters in music education from Illinois State University. In 2010 and 2017, her jazz bands performed at the ILMEA All State Convention, and in 2014, her concert band presented at the ILMEA All State Convention. Her article on “Ten Ways to Use TonalEnergy” was published in the Illinois Music Educators Journal and the Kansas Music Educators Journal. She is honored to have served as the guest conductor in both concert and jazz festivals throughout Illinois including ILMEA district festival bands in districts 2, 3, and 5. She is the president and a flutist in the Prairie Wind Ensemble, the professional wind ensemble in residence at Illinois Central College. In 2016, she was honored with the “Master Potter - Excellence in Education Award.” She is a member of Phi Beta Mu. Katrina is the flute instructor for the Music for All Summer Symposium Marching Band Track and woodwind instructor for the Morton High School Marching Band. When she is not at band rehearsals or events, she enjoys spending her time with her husband, Craig. 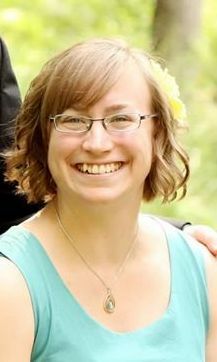 Second Clinician Biographical Information Ruth Clark is a professional musician, holding a Bachelor’s Degree in Music Education from Bradley University. She teaches private clarinet and saxophone lessons in Central Illinois and is the band manager for the funk/soul/stax band JC and The Redemption. Ruth has led the woodwind ensembles in marching band camps at both Washington Community High School and Dunlap High School. She has performed with many ensembles including The Prairie Wind Ensemble, The Peoria Municipal Band, The Bradley University Symphony Orchestra, The St. Louis Wind Symphony, and the Peoria Symphony Orchestra. She has also enjoyed singing with the Bradley University Community Chorus, The Peoria Bach Festival Choir, and The St. Louis Chamber Chorus. 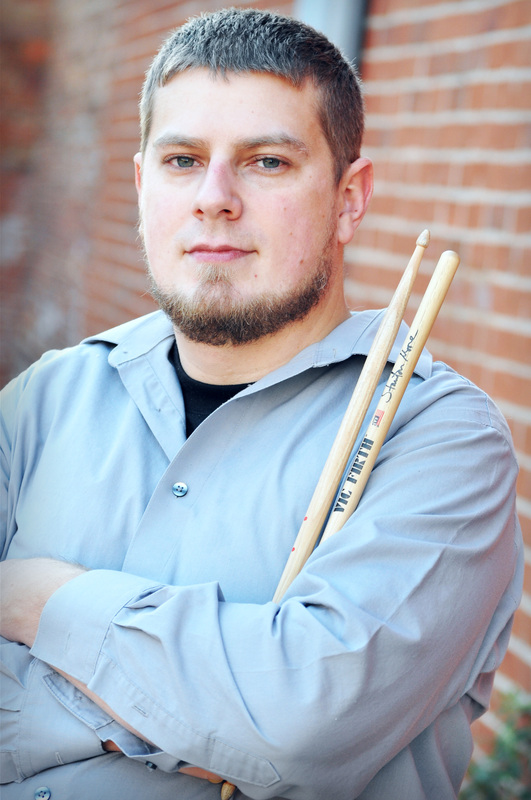 Third Clinician Biographical Information Jeremy Clark is a professional percussionist native to Peoria, IL. He obtained his Associate in Arts Degree from Illinois Central College, and attended Bradley University, studying percussion under Ms. Peggy Bonner. He has toured throughout the United States with various groups including Jack Morgan and the Russ Morgan Orchestra and the world-famous Dallas Brass. Early career ventures led him to Europe to play at the Montreux and Brienz Jazz Festivals in Switzerland, the Umbria Jazz Festival in Italy, and the Vienne Jazz Festival in France. While residing in St. Louis, Missouri, Clark performed with the St. Louis Brass Band, St. Charles Municipal Band, St. Charles Big Band, Gateway City Big Band, and the Blue Knights of Swing. Clark resides in Central Illinois where he has formed “JC and The Redemption”, his 11-piece soul/funk/stax band. He currently performs with the Central Illinois Jazz Orchestra (CIJO), Illinois Central Jazz Train, Central Illinois Jazz Society House Band, Peoria Area Civic Chorale, and the Peoria Municipal Band, among others. He teaches private lessons at Kidder Music and is the Drumline Instructor at Dunlap High School. Besides playing regularly, Clark also has several arrangements published with Alfred Music and enjoys freelance arranging in his spare time. 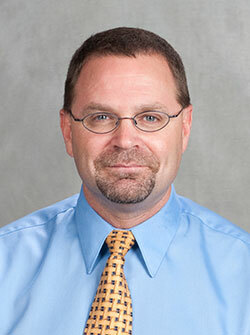 Fourth Clinician Biographical Information Dr. Todd Kelly is Professor of Trumpet and Director of Jazz Ensembles at Bradley University in Peoria, Illinois. Dr. Kelly teaches trumpet, directs the Bradley Jazz Ensembles and Jazz Combos, teaches Jazz Improvisation, and serves as an advisor for the Music Business program. The jazz program includes two big bands, one combo, a year - long Jazz Improvisation sequence, and a course in Jazz History. The Bradley Jazz Ensemble has performed with Mike Vax, Mike Lee, Matt Wilson, Rachael Lee, Allen Vizzutti, Ron Jones, Tom Garling, Byron Stripling, Chris Vadala, the Jeff Hamilton Trio, Wayne Bergeron, Denis DiBlasio, Michael Davis, Allen Vizzutti, Wycliffe Gordon, Mark Colby. Bobby Shew, and Dennis Mackrel. During the summer of 2003, the group performed at the Montreux Jazz Festival in Switzerland, and they returned in the summer of 2006, performing to enthusiastic audiences at the Vienne Jazz Festival, the Montreux Jazz Festival, and the Umbria Jazz Festival. In the summer of 2009, the band toured Italy for ten days, performing at Lake Como, Serremaggiore, Valdarno, Viterbo, and the Umbria Jazz Festival in Perugia, and they returned in 2012. In the summer of 2016, the band will travel to New Orleans to perform and do humanitarian work. 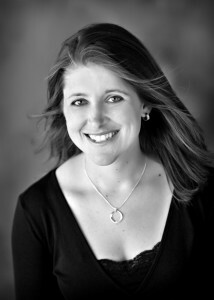 Dr. Kelly holds the Doctor of Arts degree in trumpet performance from Ball State University in Muncie, Indiana. While at Ball State, he was the Assistant Director of the Jazz Studies program, directing the Studio Jazz Ensemble, coordinating the Jazz Combo program, and coordinating the “Dimensions in Jazz” high school jazz festival. He also served as Adjunct Instructor of Trumpet and Jazz at Anderson University in Anderson, Indiana.